Young high spirited members at sea, some 30 years later! 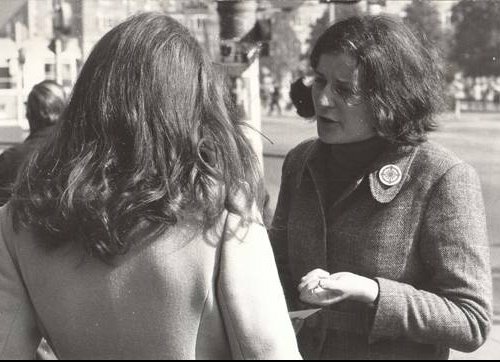 Ellen Van Kampen had never felt so cold in her life as she did in Helsinki on January 19th, 1972. Mrs. Van Kampen, a 21 years old German from Hessen, had just arrived in Finland with the assignment of establishing there one of the most northernmost posts of the Unification Movement. On her boat trip from Germany, Ms. Van Kampen was accompanied by Kirsti Nevalainen , a Finnish native who had met the Unification Movement less than a year earlier while doing her practicum at the University of Bremen. The preparation for this mission had already begun in June of the previous year, when Mrs. Nevalainen had been asked by Rev. Paul Werner to translate a study guide of the Divine Principle into Finnish. By the end of the year 1971 the first edition was already printed with funds from the German HSA-UWC. Samples of these books and some small amount of pocket money, along with their meek personal belongings, were all the material blessings the ladies were carrying with them to Finland. After arriving in Helsinki, the two young women soon found themselves a flat near the city center at Hakaniemi, a peninsula prone to high sea winds. There was no time to waste about getting a job, so the two women soon found themselves in the business of cleaning. The cleaning work was mainly done at night, thus the daylight hours were spared for witnessing. In order to lay a foundation to co-operate with the spirit world, van Kampen and Nevalainen began a fast for 40 days with water, black tea and occasional boiled rice, non-salted, as their only nourishment. Faced with the grueling daily schedule and the cold winter, Mrs. van Kampen's health began to weaken, so she would break up the fast after some 3 weeks. Kirsti Nevalainen, however, continued her fast all the way until the end thus creating the feeling that the spiritual foundation had been laid victoriously. Already during their first months in Helsinki, as the long winter nights were gradually giving away for the more gentle spring days, the pioneers of the Finnish movement found out that there actually was quite a responsive base for their message of a cosmic spring. The four first people to receive and believe the revelation about the new Messiah were Anna-Leena Hayling, Virpi Serita, Reijo Nironen and Gulen Bedredtin. In June these first guests, together with Ellen van Kampen, were already traveling to the European workshop in Bad Camberg, Germany. In the Autumn Rev. Paul Werner visited the center in Helsinki and also blessed a Holy Ground in Kaivopuisto-park. After this first foundation was laid, the Finnish movement was soon developing and growing fast as new members were joining in. The HSA-UWC was registered as a formal body in December 1972 and in January 1973 a pioneering center was opened in Turku, the former capital city of Finland. The membership growth was swift and new members often made big changes in their lives, giving up their previous lifestyles and moving to live in centers to take responsibility for the emerging movement. In May 1975, when the HSA-UWC was preparing to buy a training center, over 20 members willingly signed to personally guarantee the necessary loan. The building two story log house in Leppakoski some 90 kilometers from Helsinki, soon became an important and lively base for weekend workshops and other events of the movement. The entire loan was paid back within a couple of years through the members labour in a cleaning company. The early members had mostly been women, but from 1974 on the sisters made a special effort to witness to the male as well. Soon many brothers too could find new direction for their life from the Divine Principle. One of the brothers, Lenni Hassinen, enrolled the Unification Theological Seminary in 1976 and was the first Finnish person to graduate from the UTS in 1978. The missionary spirit of the Finnish Movement remained strong throughout the decade and new pioneering centers were established in the cities of Lahti, Jyvaskyla, Oulu, Tampere, Savonlinna and Lappeenranta. Finland's over 800 years of Christian heritage, revitalized by frequent revival movements, provided a strong foundation to welcome the message about the Lord of the Second Advent. New members often felt strong spiritual support by their ancestors and Christian spirits and they could quickly become self-motivated and disciplined members. In the entire movement there was a strong emphasis on the virtue of purity in all areas of life and despite the fast growth the movement remained very disciplined in the life of faith as well as in household matters. Unfortunately however, at the time of the arrival of the Unification Movement in Finland, the broader society was witnessing a nearly seismic shift of discarding such traditional Christian values in favor of a more material view of life. Given the strength of this trend, the communication with the society at large was doomed to be far more difficult than attracting new committed members. Early members gather for an outdoor group photo during a meeting in Leppäkoski training center. 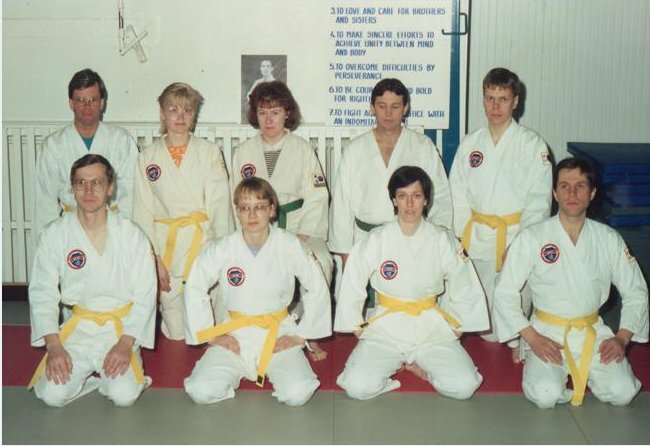 Ellen van Kampen is seated in the middle and Kirsti Nevalainen is sitting next to her, third from left. In 1939 Finland had been the first country in the world to rise in arms against the Soviet Union when Stalin's dictatorship was beginning to reach beyond its own borders. Through the sacrifices of the war generation Finland was able to maintain its sovereignty and parliamentary political system. However, through the territorial and political concessions of the 1944 peace agreement, the Soviet Union was now in a position from where it could easily exercise pressure and influence over the Finnish society. By the 1970s many young people in Finland were abandoning the values of their parents' generation and the thriving communist youth movement was attracting converts in thousands. In the entire world communism had now reached the peak of its power and the world was looking for a way to avoid a major military conflict between the communist nations and the free world. 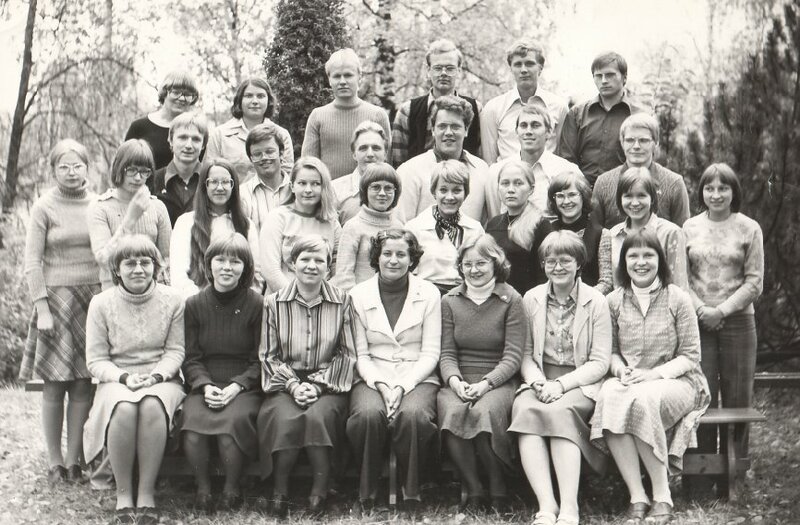 Thus when the International One World Crusade (IOWC) Europe was launched in 1975 in London, the Finnish members were willing to give themselves as offering as their parents had done a generation earlier. During the 1970s the Finnish Movement was repeatedly asked to support international activities. Ellen van Kampen not only did her best to fulfill the given quota, but actually strove to send the members she considered most capable. Many times the welleducated and disciplined Finnish brothers and sisters were warmly welcomed in international settings and many remained to work with the IOWC and other international projects in Germany, Japan, Korea or USA for several years. In 1978 nearly half of the active members that still remained in Finland were mobilized there for 2-3 years as a part of a European campaign in Great Britain. Finally even Mrs. van Kampen herself moved to Newcastle in England to direct the activities of the Finnish team there. The Finnish offering for the international work of the Unification Movement was significant, but an even greater and more permanent loss of membership came through the fact that so many sisters were blessed with an international marriage and they would leave the country to join their husband in his home - or mission -country. These sisters are now serving in responsible positions in the movement around the world and they have also been a great joy and comfort to the nations and families of their husbands! In the 1980s the Leppäkoski training center hosted international teams, offering unforgettable experiences to guests from other countries as well. As an exception to the general rule the second national leader of the Finnish Movement, Lea Smith, was joined by her husband in Finland. She was blessed to her Australian husband Alan in July 1982 in New York and the couple would lead the Finnish Movement throughout the 1980s. The witnessing activities in Finland had significantly decreased as most provincial centers had been closed due to the mobilizations abroad, but the Finnish HSA-UWC continued to reach out to nation with the quarterly Ykseyteen-magazine. The magazine was also being sent as an inspiration to ministers and religious educators and in 1984 a translation of Reverend Moon's speech "The New Future of Christianity" was sent to all ministers of the Finnish Lutheran Church. 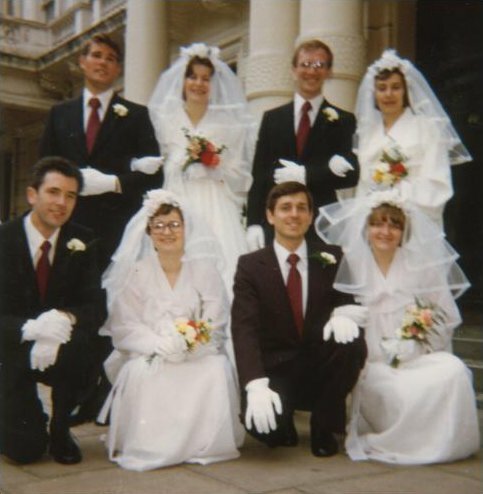 bottom left Peter and Anna-Leena Hayling; bottom right: Gabriel and Irma Körtvelyessy. In 1987 several Finnish brothers and sisters attended the CARP convention in Berlin. The culmination point of the convention was the demonstration at the Berlin Wall calling for an end for the division of Germany. The victorious rally represented a new beginning point for the European Movement and the Finnish movement too began to see several new developments. In 1987 WonHwaDo activities began in Helsinki through the cooperation of Alan Smith and Samuli Kinnunen who had learned WonHwaDo in California. The WonHwaDo also provided a way to reach the communist countries and in 1988 Smith, Kinnunen and the international WonHwaDo director Dr. Seuk traveled to Estonia to instruct local martial art enthusiasts there. 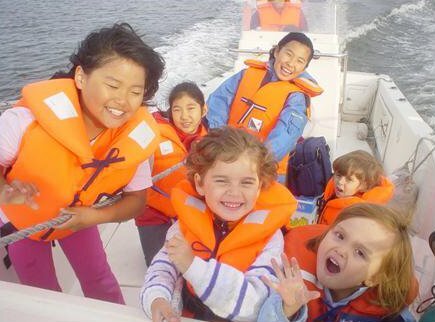 CARP activities for students were being started simultaneously by Ralf Wadenstrom, whose also came to serve as the chairman of the Finnish WonHwaDo association. The official founding event for the Finnish CARP was held in Leppakoski in September 1989 together with guests who had participated in the international CARP convention in London earlier that year. From the beginning CARP-Finland was set to pioneer a new way of reaching out without hesitation or preconceptions. Publicly announced lectures were given on the University premises and the publication of a creative quarterly magazine called Scarppi began. WonHwaDo is a unified martial art which seeks to enhance an individual's full capacity to goodness. The photo shows Finnish members who helped to introduce the sport to Finland. Alan Smith is standing second from right. In 1991 Lea and Alan Smith moved to Korea and Sho Sasaki was appointed National Leader. During the following year several Finnish members were mobilized to Estonia to start witnessing activities there building on the foundation of the WonHwaDo work. The presence of the Finnish members in Estonia continued until 1993 when the work was given over to local members and leaders coming from the CIS region. Sho and Kaisu Sasaki's time as a national leader couple also was a period when the membership united to take responsibility for financial difficulties. The fall of the Soviet Union provided a great chance for Finland to open up spiritually and starting from 1994 Finland began to see a great influx of foreign missionaries. First Teryuki Wada was sent to Finland by the European Continental Director Kwang Ke Sa to succeed Mr. Sasaki as a National Leader. Ki-Cheol Kirn also arrived to Finland as a Korean missionary. Additionally, 1994 was also the year when the Women's Federation for World Peace (WFWP) International was sending missionaries to virtually all countries of the world. All together 10 missionaries arrived within that and the following year. Overcoming the barriers of language and culture Japanese missionaries reached out to Finnish people with the heart of a True Mother through various cultural and witnessing activities. Their example of a serving heart of True Love was truly an inspiration to the membership of the Finnish movement. 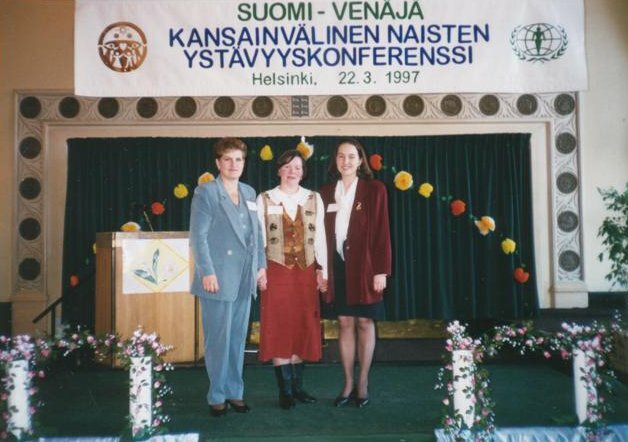 The Finnish WFWP had seen its first beginnings in 1992, but its work greatly accelerated through the arrival of the young woman missionaries. The WFWP Finland has been an active organization ever since, organizing regular meetings and' a newsletter for women, organizing and supporting aid projects and initiating relationships between women of different nationalities through Bridge of Peace ceremonies. In particular the Bridge of Peace ceremonies between Finnish and Russian women held in Helsinki and St. Petersburg have been significant efforts to overcome historical animosities between the nations. Over the course of years, Mirva Lahteenmaki, Brigitte Wada and Gudrun Hassinen have served as the chairwomen of WFWP Finland. The Japanese missionaries and their beautiful voices have touched the heart of many in Finland. 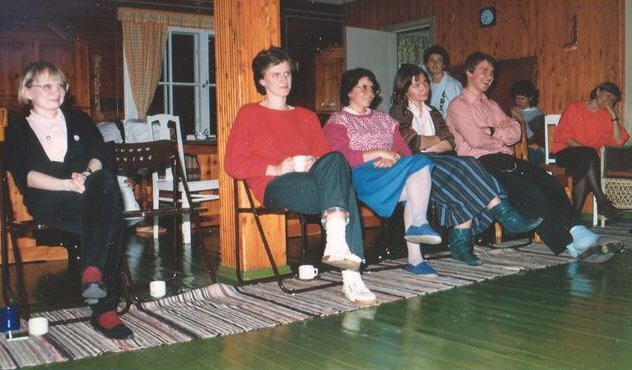 Here young Finnish members are watching while missionaries perform. During the year 1996 elder families that had been assigned the mission of National Messiah by Reverend and Mrs. Moon began to arrive in Finland. First to come were the representatives of the Adam and Eve Nations, Mrs. Gil-ja Sa Eu from Korea and Nobuko and Zenichiro Hayashi from Japan. Many members felt particularly honored that Mrs. Eu, the wife of the late Korean HSA-UWC President Eu and a participant of the Blessing of 3 couples in 1960 could spend several months in Finland sharing the life of members in the center. Due to her responsibility as the President of the WFWP International Mrs. Eu returned to Korea but her son Jinseung and his wife Yonsok Eu were able to work in her position in Finland from 1997 to 1999. Abel and Cain National Messiahs arrived in 1997: Abel Messiah – English-Polish couple and Cain Messiah – Italian-Japanese couple. These families have both remained in Finland ever since; the Italian-Japanese couple has taken responsibility for HARP activities whereas the English-Polish couple has worked in several areas of youth and family Education. 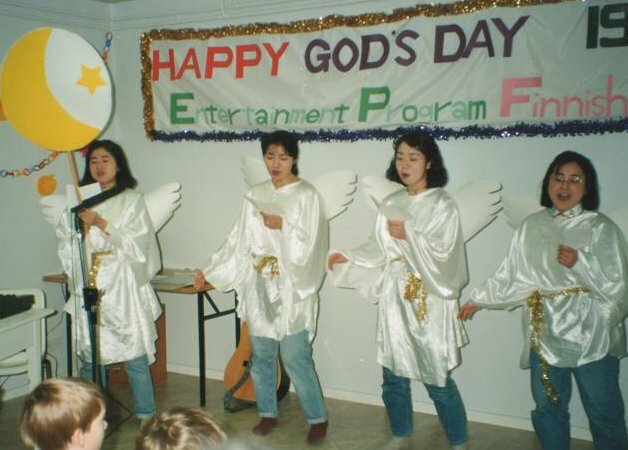 During the years 1996 and 1997 also several more Japanese missionaries arrived representing WFWP and FFWPU, the FFWPU missionaries arriving with their families and thus settling more permanently in Finland. The face of the Finnish movement was now significantly altered becoming a truly international group of people. Only some weeks or months earlier some of these new settlers had not even known where Finland was located - now they were settling down to live in this cold and remote country, the language of which was not even remotely related to any other language they had known before. But these people had come to Finland to help the nation to open up and join — not only in organization, but in heart-the family of all nations. As always, it started from families who would then join other families to build a community to encapsulate the ideal of one world family. As every family, this one too experienced certain difficulties in coming to live together, but the overall atmosphere in the movement became more receptive and attractive. The First Finland - Russia International Women's Friendship conference brought together ladies from Finland, St. Petersburg and Eastern Karelia. The Family Federation of World Peace and Unification (FFWPU) of Finland was officially inaugurated in November 3rd 1996 with the WFWP:s support. The event was held in the Balder-hall in Helsinki, and the main address was offered by the president of the European Unification Movement Kwang Ke Sa. In 1997 Reverend and Mrs. Moon were encouraging the worldwide FFWPU movement to reach out to the world's population with the precious Holy Blessing Ceremony and Pres. Sa had encouraged Finland to reach 4000 couples by summer. 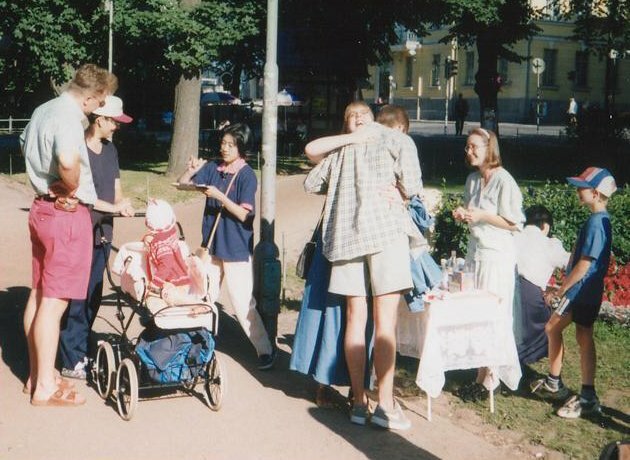 In June 1997 Ki-Cheol Kim with three Japanese FFWPU missionaries inherited the method for conducting the Blessing ceremony at their excursion to Estonia and in June 22" the Finnish Blessing campaign was launched in the city of Heinola. The initial reaction from people was very good - and it was soon discovered that the idea of true families was one that could build a bridge between Finnish and Japanese people. The most durable and persevering work was done by the over 20 Japanese missionaries who could here find the culmination point of their work in Finland. The initial goal of 4000 people was reached by July 1997 but the campaign continued increasing in speed. 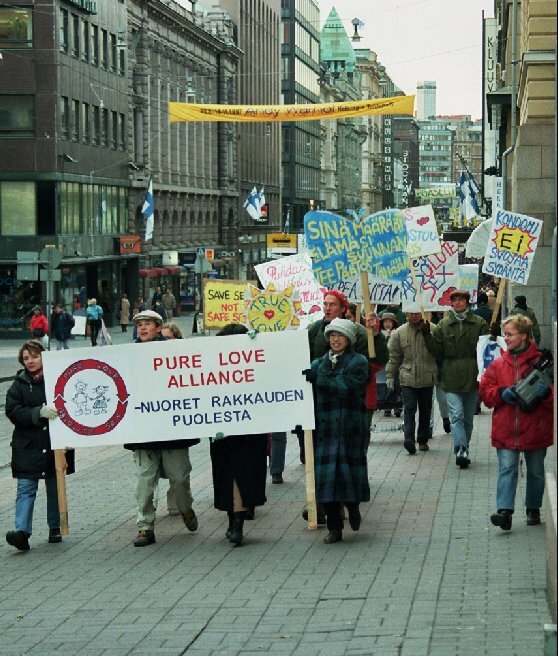 By summer 1998 several hundred thousand Finns had directly received the Holy Marriage Blessing via representatives of the Finnish FFWPU and received information and material on the family ideals connecting with the Blessing movement. Simultaneously with the Blessing campaign the World CARP organization was pioneering ways of publicly demonstrating in favor of abstinence before marriage and fidelity in marriage. A meeting of European regional leaders supported the idea of CARP-Finland to hold such demonstration in Finland as well. Leaders and members of the Finnish movement joined to support CARP and the two rallies in October and November 1997 created a strong media response in TV, radio and print media. On the evening of the second rally the TV channel the rally in the prime time evening news. The report, which included an interview with Finnish CARP leader Einari Peura, was seen by nearly nearly one million people. Marchers chant as they walk along the Alexander street in the Helsinki Pure Love Rally. The march was a powerful cry for abstinence before marriage and was able to draw attention to this cause through media coverage. A couple embraces while another couple is waiting for their turn to receive the Blessing. Service is an essential part of unification life style, particularly for young people. CARP members visited old people's homes with songs but the ones most in need seemed to be the children of the city who were facing problems in the increasingly materialistically oriented society. Religious and other conscious students were called to serve via Children Saturdays, a big brother and sister program and an inter-religious boy scouts and girl guides troop the Dove scouts. The service activities helped to open the doors of hearts which were then nourished in Divine Principle seminars. A part of the activities was done on the sea using two Good Go boats which the Finnish Movement had received as a donation from Rev. And Mrs. Moon in 1996. 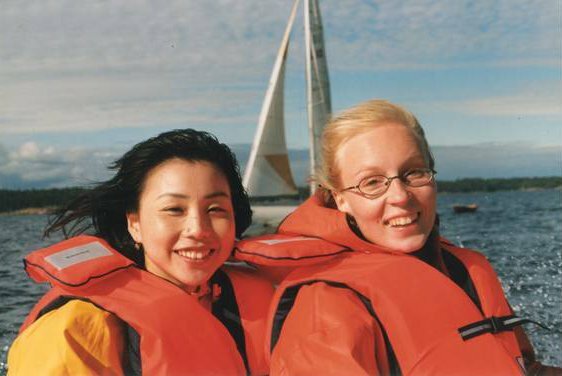 Thus in the summer of 1998, when the Finnish Movement was offered three more boats of the same brand, CARP members courageously agreed to shoulder the responsibility and to establish a new youth organization "Youth at Sea". Much investment and work was required to get the new organization started, but Youth at Sea chairman Jukka Paatero and members worked successfully and brought hope for young people. makes one feel grateful to God for the beauty of His creation. In the autumn of 1998 Keijo Mikkanen was appointed to serve as a national leader of the Finnish Unification Movement. 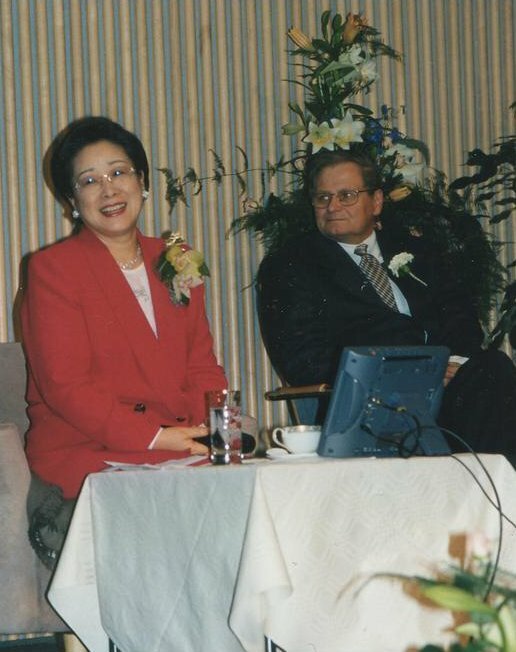 In early 1999, because of Mr Mikkanen's efforts, Finland was chosen as one of the countries to receive Mrs. Hak Ja Han Moon on her speaking tour that spring. 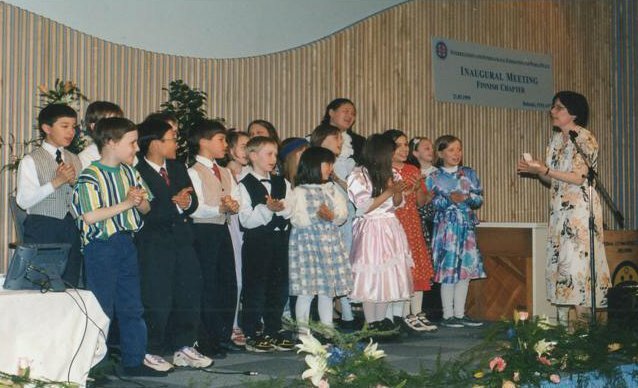 Because of brothers' and sisters" support and hard work, and the support of other Scandinavian nations, the event was successfully held in Marina Congress center in Helsinki on May 21st 1999. Mrs. Moon shared about the path she and her husband had walked, and offered it as a model and inspiration to others in her speech "The Path of Life for all Humankind". Mrs. Hak Ja Han Moon's speech was preceded with various musical performances by artists such as Anneli Saaristo. Here a choir consisting of children of Finnish Unificationist families are performing. It was a long-awaited event and many among the audience of over 400 people could not hold their tears back. On the following morning at the Hoon-dok-hwe Mrs. Moon was encouraging members saying that the restoration, of the nation of Finland with Its population of only 5 million people would not be a very difficult task given all the support she and her husband with the good spirit world were able to provide. Mrs. Moon seemed to feel well during her brief stay in Finland and her visit left a deep impression on the hearts of many members and guests - and a longing to welcome her and her husband to Finland again! The event featuring the speech of Mrs. Moon was also the inauguration event of the Interreligious and International Federation for World Peace in Finland (IIFWP). The inauguration was attended by some Finnish VIPs and the IIFWP has since become an important tool for reaching the top of the Finnish society. In 2002 Hannu Hassinen was appointed national leader by President Sa. Under his leadership, the IIFWP was officially registered as an NGO organization. Also Mr. Hassinen represented the Finnish movement by participating in European campaign in Albania. 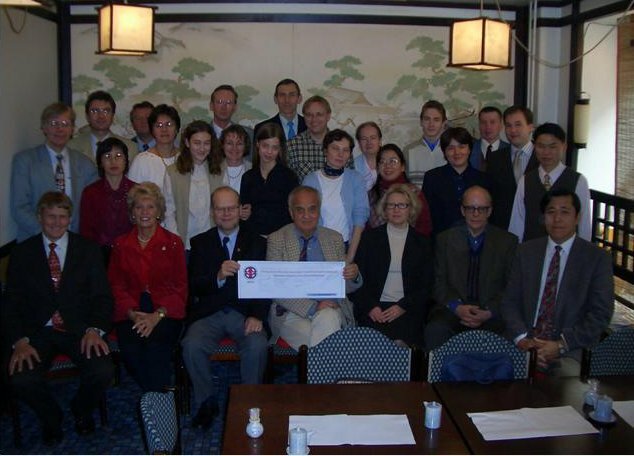 In August 2003, President Yong Cheol Song and Mrs. Song came to Finland in order to attend an IIFWP seminar in Helsinki. Then, Tetsuo Yoshizumi was appointed national leader. The Finnish Unification Movement is facing the new millennium courageously. The work to share the Holy Blessing is ongoing as events including the Blessing ceremony are being held. The movement is organizing seminars and monthly meetings to leaders of the Finnish society. People from all walks of life contributing for a better society have been recognized as Ambassadors for Peace. Many of these Peace Ambassadors have attended international conferences organized by the Unification Movement. Ambassadors for Peace also played an important when the Crown of Peace Ceremony honoring the life and work of Reverend and Mrs. Moon was held in the Parliament Building in Helsinki on October 29th 2004.
who has been observing and appreciating the work of Rev. and Mrs. Moon for 15 years. On the day following the Crown of Peace Ceremony members and Peace Ambassadors gathered in Japanese restaurant Koto to inaugurate the Finnish Chapter of the Mongolian People's Federation for World Peace. Current National Leader Tetsuo Yoshizumi is sitting on the right end of the row. Today the Peace Ambassadors are increasingly contributing to the international work of the Unification Movement in projects as the Middle East Peace Initiative and the work of the International Peace Councils. 2007 New place for Sunday Service, Itä Keskus and Ruohovuori. 2013 New meeting place in Mellari.